mix together salt, sugar and rice vinegar. add the carrot and cucumber and let the veggies pickle while you’re making everything else. grill the short ribs for 4 to 5 minutes on each side and then set aside to rest. toss the shrimp in olive oil and salt and pepper and roast in one layer on a cookie sheet in a 400 degree oven for 10 minutes. dress your greens in a little oil, lemon juice and salt and pepper. this dish is a blank canvas for any cook. you can use any kind of meat or vegetable that you like and by serving the sauces on the side, your guests can personalize their heat level. 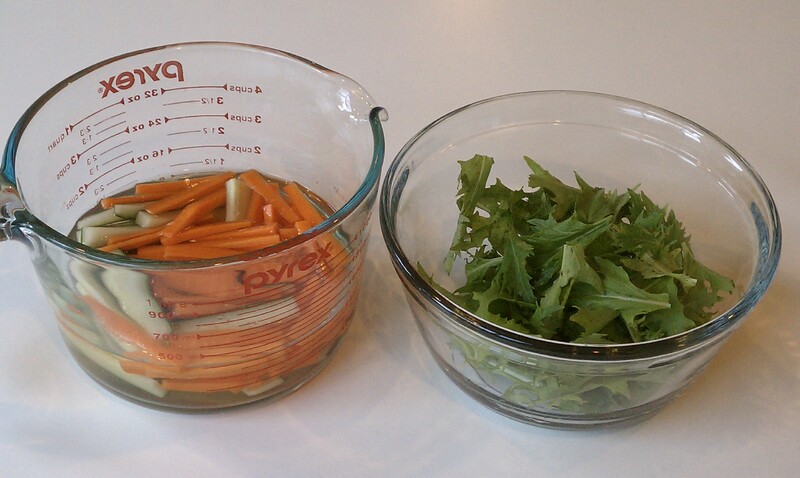 don’t shy away from pickling your veggies though. it really adds so much flavor and depth to this meal. happy experimenting! 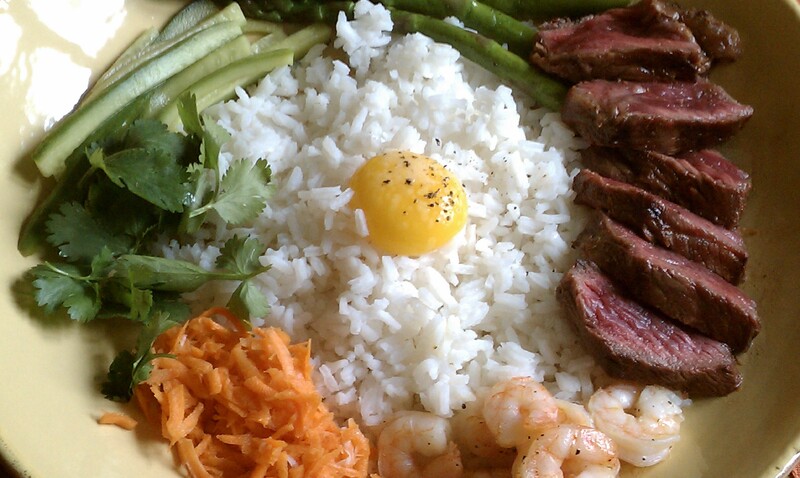 This entry was posted in beef, meat dishes, Recipes and tagged bi bim bop, korean, quick dinner, rice bowls, short ribs. Bookmark the permalink. Great blog. Jen mist be a great cook!